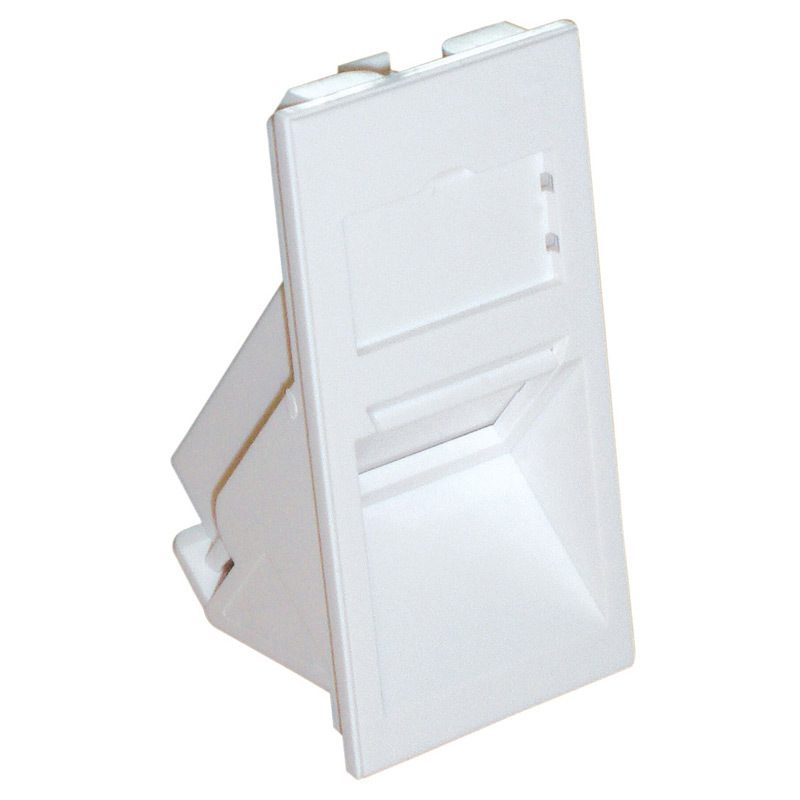 The Excel 6C Angled Keystone Shutter is a white angled shutter to suit a number of Excel Category 6a Keystone Jacks. 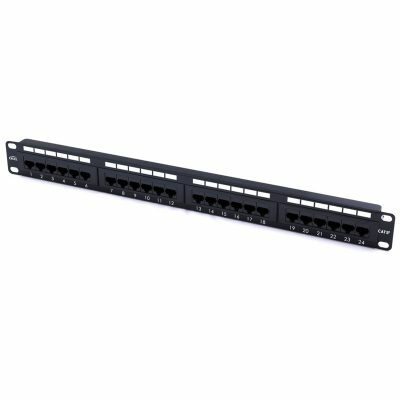 Available in the 6C cut out size (22.5 x 37mm), this housing is designed to assist in the installation of large diameter cables in confined spaces such as standard back boxes, multi compartment trunking, and floor boxes. Each of these shutters includes a labelling field. 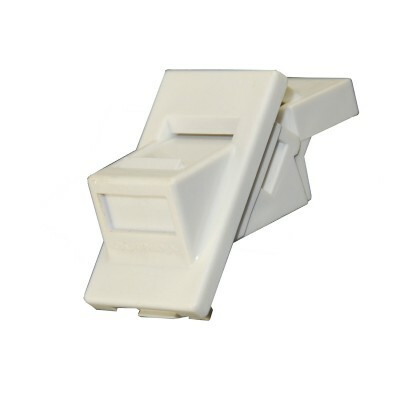 Faceplates to suit this shutter are also available – see Part Code 100-670 for a 6C Single Gang White Faceplate or Part Code 100-671 for a 6C Double Gang White Faceplate. 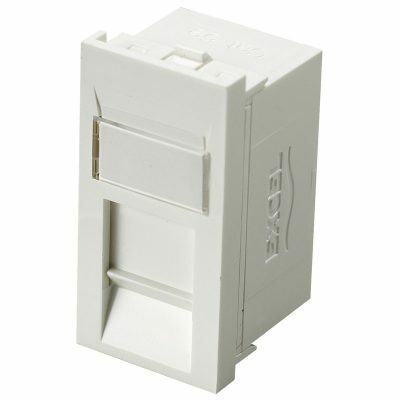 The Excel 6C Angled Keystone Shutter is a white angled shutter to suit a number of Excel Category 6a Keystone Jacks. 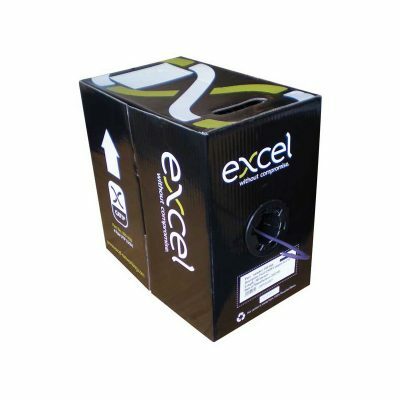 Available in the 6C cut out size (22.5 x 37mm), this housing is designed to assist in the installation of large diameter cables in confined spaces such as standard back boxes, multi compartment trunking, and floor boxes. The design presents the keystone at 45 degrees to both the solid conductor cable being terminated, and the RJ45 patch cable to be connected to the installed socket. This design optimises the space available and ensures minimal (if any) stress is applied to the cables during installation or use. Each of these shutters includes a labelling field.